﻿I have always cobbled together our history curriculum using a combination of videos, books, documentaries, crafts, hands-on activities and other resources, but this year I decided that it would be easier if I used a resource that had everything I needed in one place. Unfortunately, neither Sir Talks A Lot nor I like textbooks, and I overlooked that little detail when we subscribed to the WorldView Software American History Program. I still like the program a lot, and we used it as a spine for a large portion of the course, but we also supplemented it a great deal. We started supplementing at Chapter 3, and the way we used the program continued to evolve until the end of the course when we were no longer using it as a resource at all. This transition is reflected in the change in style and content over the pages. 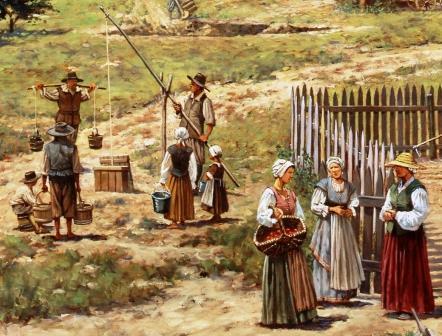 Do you think Hawthorne's portrayal of the Puritans was accurate? Since he was writing about them several centuries later, what do you think was his intent in using the Puritans as his subject? 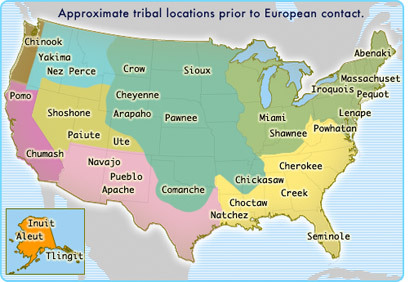 Class 5 – Relationships between the colonists and American Indians. Read the following articles. The following questions are taken from The Scarlet Letter Unit Plan. · 1. Identify Hester Prynne, Pearl, Rev. Mr. Dimmesdale and Roger Chillingworth. · 2. What emblem did Hester have to wear? Why was she sentenced to wear it? · 3. What information did Hester refuse to tell the officials and Mr. Dimmesdale? · 4. What was the relationship between Hester and Roger Chillingworth? · 5. What did Hester promise to Roger Chillingworth? · 1. Hester is released from prison. Why doesn't she run away to a different settlement? · 2. How did Hester support herself and Pearl? · 4. Describe Hester's feelings towards Pearl. · 5. Why did Hester go to see Governor Bellingham? · 6. What did Hester and Pearl see in the breastplate of the armor? What is the significance of the exaggeration? · 1. Mr. Wilson asks Pearl, "Canst thou tell me, my child, who made thee?" What is Pearl's answer? Why did she say that? · 2. What convinced the Governor to let Hester keep Pearl? · 3. How did Roger Chillingworth become Dimmesdale's medical advisor? · 4. Who is the leech? Why is he called that in the title of the chapter? · 5. Why did Mr. Dimmesdale rush from the room to end the conversation he had with Roger Chillingworth? · 1. What does Rev. Dimmesdale's congregation think of him? Why is that ironic? · 2. Where did Mr. Dimmesdale go at midnight? Why? · 3. What did Pearl ask Mr. Dimmesdale? · 4. What "sign" did the meteor make in the sky? · 5. Where had Mr. Wilson, Hester, Pearl and Roger Chillingworth been that night that they would all be walking by the scaffolding at midnight? · 6. What was the other view of Hester? · 1. What did Hester tell Roger Chillingworth when they met on the peninsula? · 2. Why do Hester and Pearl go to the forest? · 3. When Mr. Dimmesdale finds out that Roger Chillingworth is out for revenge, he knows his religious career in Boston will be at an end and his life will be miserable. What does Hester suggest? · 1. What did Hester have to do by the brook before Pearl would come across? · 2. Mr. Dimmesdale kissed Pearl. What did she do in response? · 3. How did Rev. Mr. Dimmesdale's attitude change after he decided to leave Boston with Hester? · 1. What shocking news did the commander of the Bristol ship bring Hester? · 2. What did Mr. Dimmesdale tell the people of New England before he died? · 3. What did the people see when Mr. Dimmesdale took off his ministerial band? · 4. What happens to Hester, Pearl and Roger Chillingworth? Class 7 – Final Essay: Choose one of the topics below and write a 2 page, double-spaced essay. In what way did slavery in the colonies differ from that commonly found in Africa and what impact did the slave trade have on American culture? As we see in the example of Hester Prynne, the Puritans of The Scarlet Letter tried to legislate morality. Do you see examples in our own culture where we attempt to do the same? Is this a successful strategy? Why or why not? Compare and contrast the attitude toward women held by native people vs the colonists. Class 8 – Revise your essay.